Recently a friend of mine introduced me to Corn Nuts. After scouring the stores looking for them and finally locating them at a CSV about 15 miles away, I tried them. They were OK, but not that intense crunch I'd grown to love by eating the little half-popped kernels of corn you get when you make a big batch of popcorn. I love popcorn, and I've even gone so far as to find my perfect type of popcorn, the softest and smallest I've found, Ladyfinger Popcorn . I particularly love the kind from Wabash Farms, on Amazon. 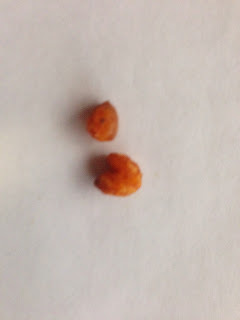 I also discovered HalfPops, which appeared to be almost exactly what I was looking for, but without a local branch to sell them and having to pay a very large sum to get them shipped to me, I set out to find a way to make them on my own. I'd already found that making Corn Nuts was as simple as deep-frying Hominy, so these new Half-Pops (sometimes called "Old Maids") couldn't be that hard to make. HalfPops.com would like you to think it's an incredibly complex process; it's not. That's a whole lot of half-popped popcorn! Because I used ladyfinger popcorn, they also aren't incredibly hard, but they still are quite crunchy. Enough that they could probably break your teeth if you're not too careful, and you might occasionally still get a few that are just too hard to eat, so make these at your own risk... but oh are they incredibly delicious. So what's the secret? It's much simpler then you might think. 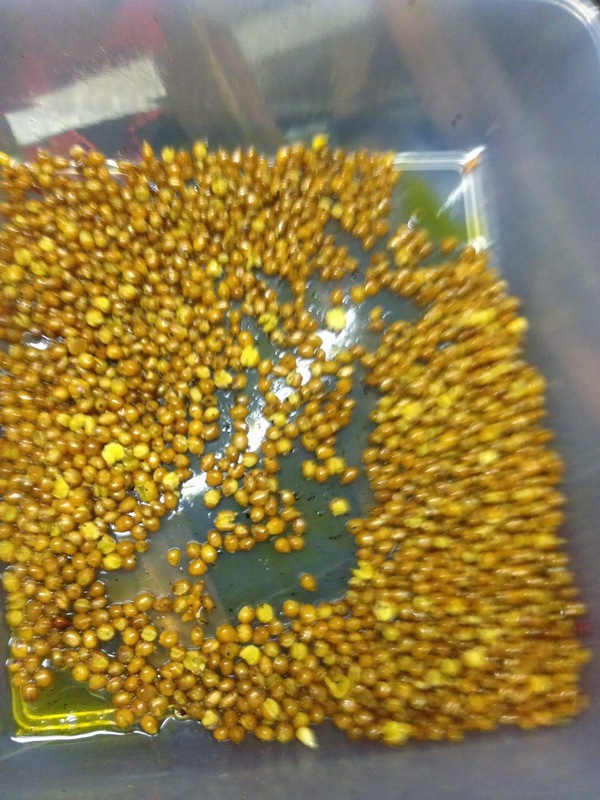 The issue with popcorn is the coating on the outside makes it hold all of the moisture inside until it finally explodes, so the key is to try to remove some of that coating before you pop the kernels (this also has the added effect of "softening" the hardness of the kernels). There's a lot of ways you could try to do this, but the easiest I've found is by soaking it in water. Ladyfinger Popcorn (you can pick this up on Amazon). A kettle-based popcorn maker. (I personally use the Nostalgia Electrics KPM200 Kettle Popcorn Popper , but any kind should work). The process is quite simple, although it does take a while due to the soaking process. Take a lot of popcorn, say about a cup at least, and add it to an air-tight container. Add water, enough to cover it. 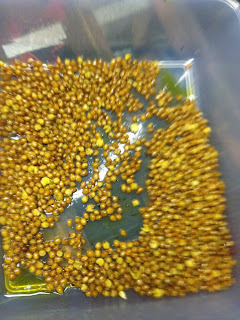 Some of the kernels will float, don't worry about that, eventually you'll stir it around and they will mostly all sink. Add about the same amount of salt you would do for brining meat, so if you've got a cup of kernels, you should have about a cup of water, and a quarter cup of salt. Seal, then shake the container (like the old shake-and-bake bags) until all the salt, kernels, and water are mixed. Then comes the long part, let it sit in a cool area (but not the fridge!) for at least 4 days, occasionally shaking it up to make sure the salt doesn't settle too much. After the 4 days, you're ready to start. First, spin up your popcorn kettle (you can also try this with a traditional pot, but it might be tough to make sure the kernels don't burn at the bottom). You'll need to add a good quantity of Popping oil, about 3-4x what you normally would add. I usually squeeze in about 4-5 tablespoons, but you can experiment with more depending on how much popcorn you're using. You need to add enough that the top of the kernels will be covered with oil. Next, turn the kettle on. While it is warming up a bit, drain the popcorn that's been soaking for at least 4 days. DO NOT dry it with a paper towel. You don't need to get all the water out, you just don't want to dump in a whole ton of the stuff. You don't need to wait for the kettle to completely come up to temperature like with regular popcorn, in fact that seems to harm the process, so by the time you're done draining the popcorn, it's time to add it to the pot. Add about 3x what you normally would, as long as all the kernels are covered with oil. It's ok (and even good) if a little extra water gets into the pot. Wait for the kernels to start popping (slightly) and then listen closely. The kernels won't pop out of the kettle, so you have to be very careful to watch that they don't burn. It will start slowly, then pick up, and then start to slow down again. It takes a little longer then regular popcorn, so just be patient. If you start to see kernels popping out of the top, then you've left it in too long, or didn't soak it long enough. Once the popping starts to really slow down, about a second between each pop, turn off the kettle and let it sit for at least a minute. 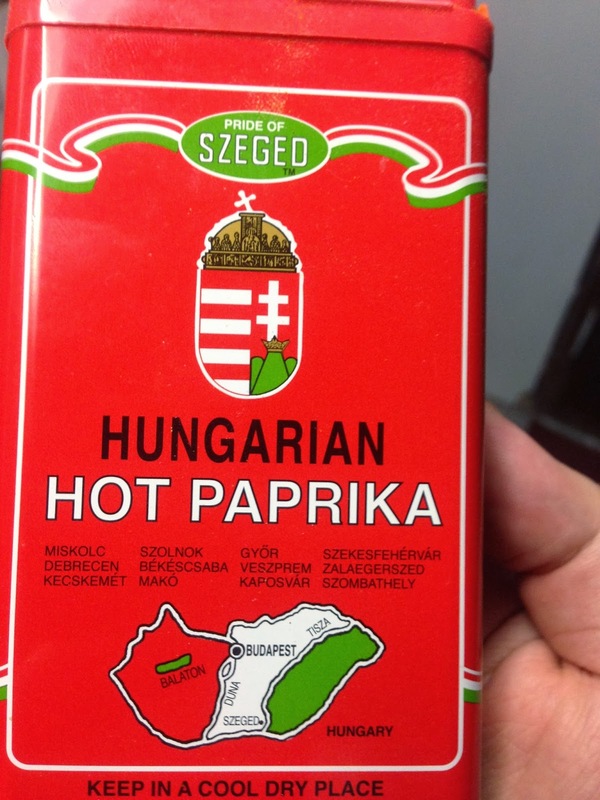 This is very important as the oil is still very hot. If you dump the kernels out as they are, you'll end up burning yourself, and probably melt any plastic bowl you might be putting them into (I did this the first time I made it!). 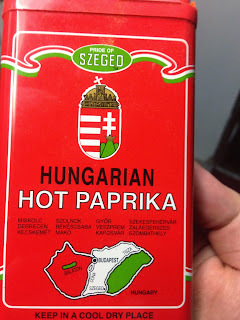 You also probably want to add some salt. I typically also add Gourmet Fries Seasonings, Salt and Vinegar. The combination of these two adds quite an amazing little punch to these things. Make sure you still let them breathe a bit, and you can even dry them off with a paper towel like you would fries. They aren't quite the same as the half-pops, in fact usually they're a little less popped. The perfect snack, and it doesn't take a whole lot of new equipment to make it! What do you like adding to your half-pops?